"Kṛṣṇa, the Supreme Personality of Godhead, if He is pleased upon somebody, nobody can annihilate him. Similarly, if He is angry upon somebody, nobody can protect him. 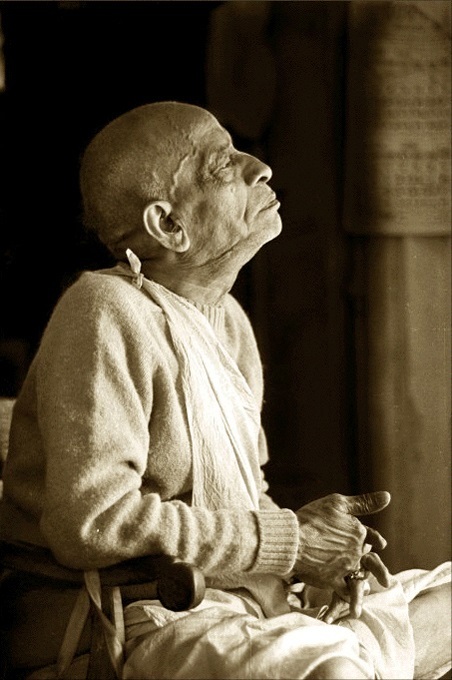 There is a Bengali, prayer, rākhe kṛṣṇa māre ke, māre kṛṣṇa rākhe ke. If Kṛṣṇa wants to kill somebody... Kṛṣṇa does not kill, neither the living entity is ever killed. Just like father. If he chastises his son, it is not chastisement; it is favor. The devotees can understand that even sometimes we meet very reverse condition of life, it is also favor. Tat te 'nukampāṁ su-samīkṣamāṇaḥ (SB 10.14.8). Anyone who can see that this unfavorable condition of life is also another favor of Kṛṣṇa...Tat te 'nukampāṁ su-samīkṣamāṇaḥ. 'Even there is some suffering, it is not given by Kṛṣṇa. I am suffering on account of my past misdeeds, and Kṛṣṇa is so kind that I would have suffered many hundred thousand times more than the present suffering, but Kṛṣṇa is adjusting the whole thing by little suffering.' This is the vision of devotee. Tat te 'nukampāṁ su-samīkṣamāṇo bhuñjana evātma-kṛtaṁ vipākam. Ātma-kṛtaṁ vipākam. A devotee never accuses Kṛṣṇa, that 'Kṛṣṇa, I am serving You so nicely, and You are giving me so much suffering.' No. This is not devotee's view. Devotee will take that 'This so-called suffering is also Kṛṣṇa's favor.' Tat te 'nukampāṁ su-samīkṣamāṇaḥ. So those who are going forward with Kṛṣṇa consciousness, they should not be, I mean, a debtor to any condition of life."